Boutique Victorian developer, BPM Construction and Development Group, is set to deliver a new sense of style to Brisbane’s development scene with the recent acquisition of a 1,011sqm site in trendy West End. Onyx Apartments is BPM’s first venture interstate. Located at 31 Bank Street on the site of a former hostel, the proposed $16.5 million development will feature 30 residences over 5 floors, designed apartments by Noel Robinson Architects. “In a suburb where people appreciate good design and individual style, we hope to create something that is fresh and different to what’s currently available in the local market,” said BPM Director, Jonathan Hallinan. 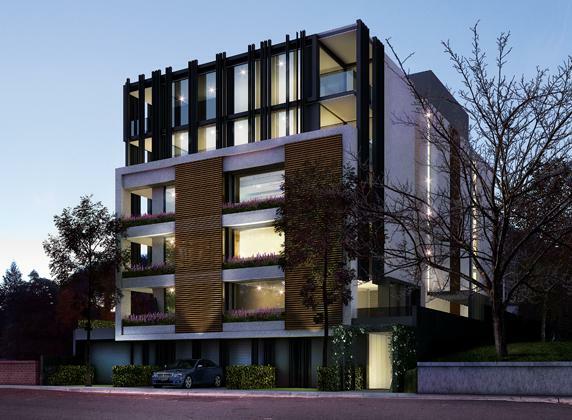 “The Brisbane market presents an excellent and attractive opportunity to develop contemporary and architecturally designed apartments for the more discerning owner-occupier. Mr. Hallinan said Queensland’s streamlined planning and approval system meant development would be able to commence quickly following approval, allowing buyers to move into their new apartments sooner. Click here to read an exclusive interview with BPM Director Jonathan Hallinan and TheUrbanDeveloper.com's Georgie Cameron. Interiors have been styled by the renowned Mim Design and will reflect the eclectic yet cosmopolitan nature of West End, with innovative designs and high quality fixtures and fittings. Each floor will feature six two-bedroom, two-bathroom apartments ranging in price from $499,000 to $575,000, with upper-level apartments offering sweeping views of Brisbane’s CBD. Located in one of Brisbane’s most established social hubs, West End offers residents a lively mixture of cafes, restaurants, shops, live music venues and bars. It’s inner-city position and close proximity to public transportation is also set to be a large draw card for potential buyers. Onyx Apartments will be aimed at young professionals, downsizers and investors. Ground-floor apartments range from 103sqm to 167sqm. Apartments on levels 1 to 5 range from 75sqm to 92sqm. All apartments have secure, off-street parking and basement storage and 8 additional off-street apartments. A display suite is now available for viewing at the development site.